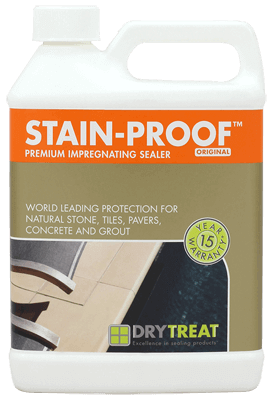 Dry-Treat’s Stain-Proof Impregnating Sealer provides stain-proof sealed surfaces for both residential and commercial environments. Surfaces sealed with Dry-Treat Stain-Proof Sealer have lasting protection against color fade, surface staining, moss, mildew, efflorescence, freeze thaw damage and salt. Dry-Treat Stain-Proof Original Premium Impregnating Sealer is an invisible, breathable sealer that keeps both indoor and outdoor surfaces looking good for longer. 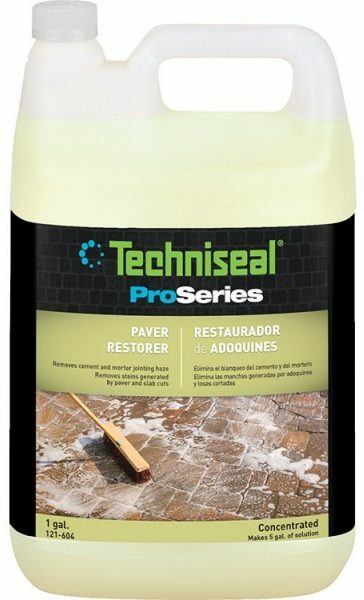 This sealer provides long-lasting premium protection from stains, water damage, and dissolved salts for natural stone, pavers, concrete, brick and grout. 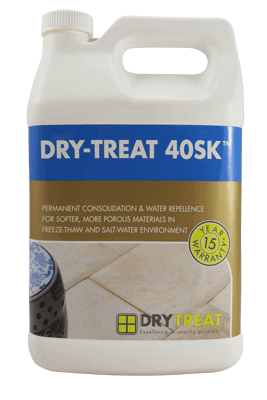 Dry-Treat 40SK is a breathable, invisible sealer specially formulated for soft porous stone surfaces like natural stone, brick, terracotta, engineering concrete, cast stone, sandstone, limestone, paving and grout. It provides soft porous surfaces protection from stains, makes them easier to maintain, helps them look good for longer, and reinforces fragile surfaces. 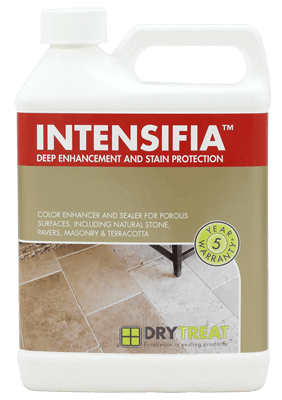 Dry-Treat Intensifia Deep Enhancement and Stain Protection is a perfect combination of enhancer and sealer for hard porous materials like natural stone and masonry. This sealer provides deep, long lasting color enrichment and premium protection from water and oil-based stains. 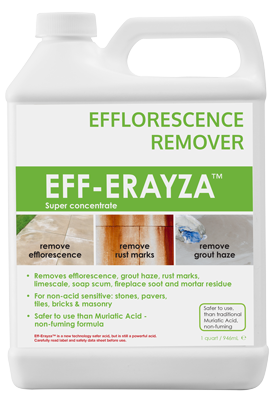 Dry-Treat Eff-Erayza Heavy Duty Cleaner for Efflorescence and Mineral Residues is an acid cleaner with new technology that makes it more effective, yet safer to use than traditional industrial acids. It does not produce noxious fumes, temporary contact does not burn the skin and it is non-corrosive to metals other than uncoated aluminum. It can be used to remove efflorescence, rust stains, lime scale, grout haze, mortar mess and fireplace soot. 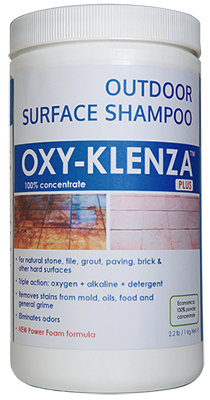 Dry-Treat Oxy-Klenza Outdoor Stone and Hard Surface Shampoo is a 100% concentrate, environmentally responsible heavy-duty cleaner boosted with powerful triple action oxygen, alkaline and detergent. Safer than traditional heavy-duty cleaners, Oxy-Klenza can be used on natural stone, tile, masonry, brick, grout, raw and unfinished wood, concrete, and vinyl to remove grime and stains caused by oil, grease, mold, leaves, food and beverages. 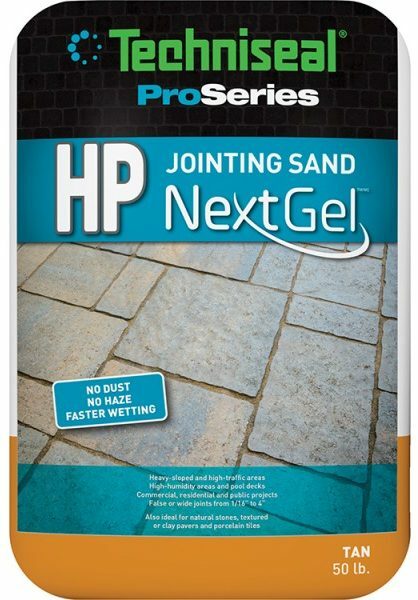 HP NextGel Jointing sand works well for all projects including those in high traffic areas, humid environments and on steep slopes. This mix of graded sand and binder lays down easily for effective and fast slab and paver installation. 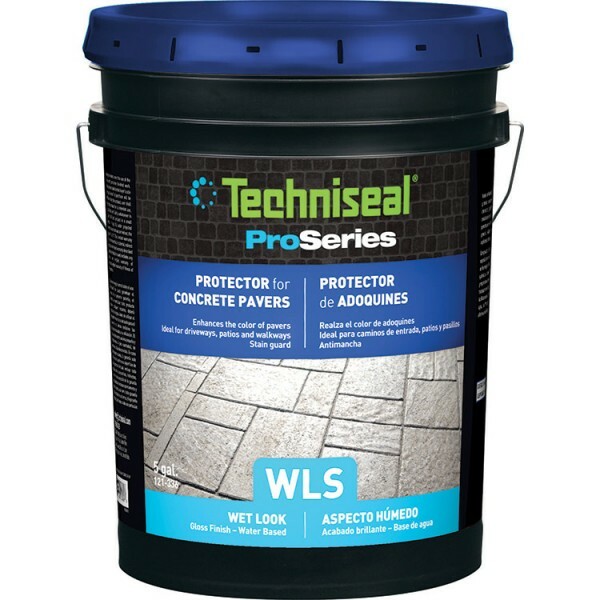 Techniseal Sealant for Concrete Pavers (WLS) | Wet Look | Gloss Finish is specifically designed to protect concrete pavers from stains while enhancing their color. 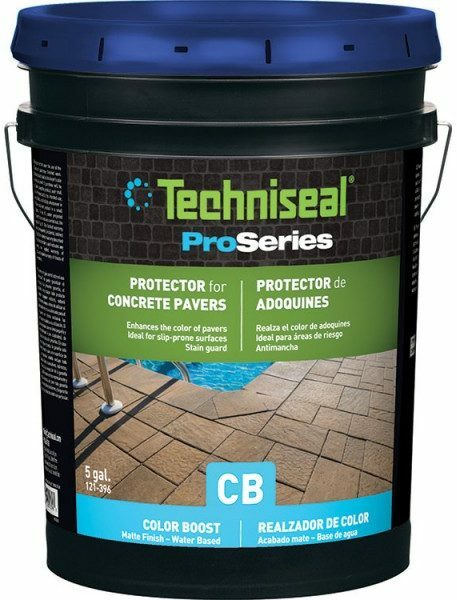 The microporous, water-based sealant is made of an alkyd and modified acrylic hybrid dispersion and is ideal for driveways, patios and walkways. 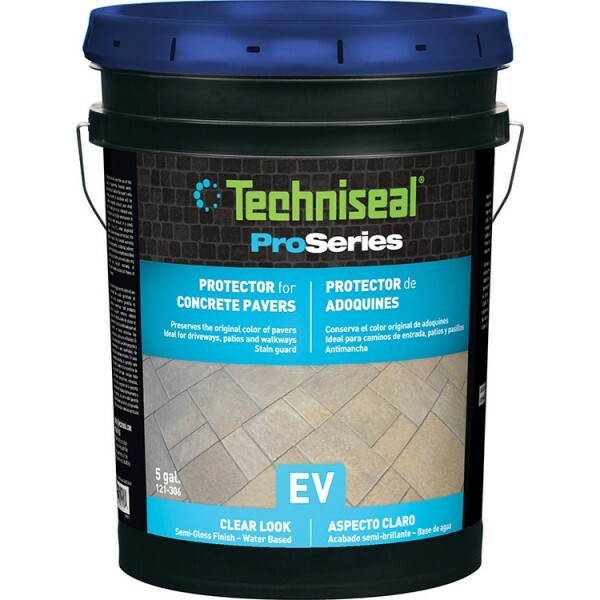 Techniseal Sealant for Concrete Pavers (EV) | Clear Look | Semi-Gloss Finish is specifically designed to preserve the original color of pavers. 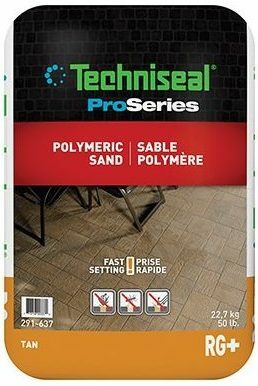 Ideal for driveways, patios and walkways, the microporous, water-based sealer is made of acrylic and urethane. 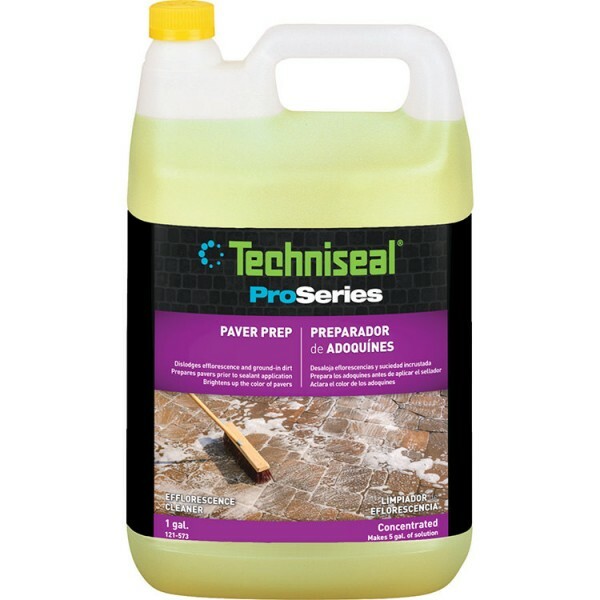 Techniseal Paver Prep is a high-performance formula specially formulated to prepare pavers for sealant application by dislodging efflorescence and removing ground-in dirt like traffic marks. This easy to rinse formula also brightens the color of pavers. 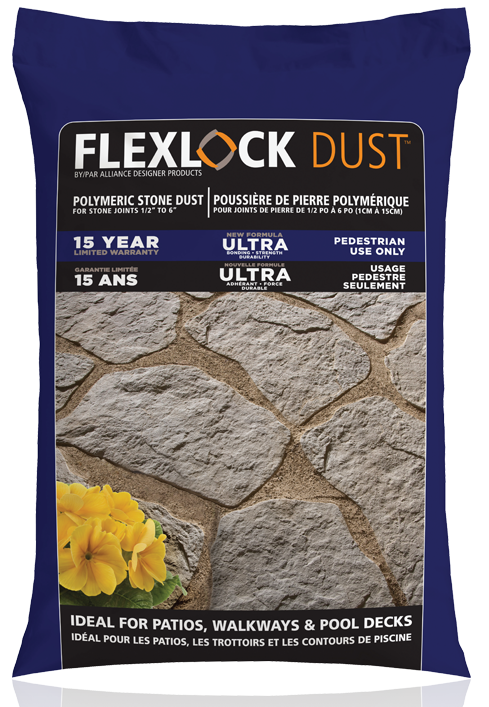 Removes the haze and any stains from concrete or clay pavers and tiles after the grout and masonry work have been completed. Won’t damage or discolor any surfaces, is environmentally friendly and has very little odor. Protect porous concrete pavers, enhance their color, and guard against stains with an impregnating (non-film forming) water based sealant. Great for use in slip-prone or hazardous areas. Spec Mix Adhered Veneer Mortar (AVM) is a mortar used for the installation of adhered masonry veneer and is specially formulated with an optimal blend of dry cementitious materials, masonry sand and performance enhancing admixtures. 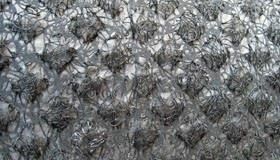 Its cohesive material provides a superior bond with consistent workability and high water retention. Driwall Rainscreen 020-1 is a drainage mat for exterior wall systems used to eliminate incidental moisture problems and provide ventilation in most exterior veneer applications. Lightweight and easy to handle, Driwall Rainscreen can be installed simply with a mechanical staple hammer on stucco, thin stone or brick, manufactured stone, stone and brick masonry, lap siding, plank siding, and siding applications. 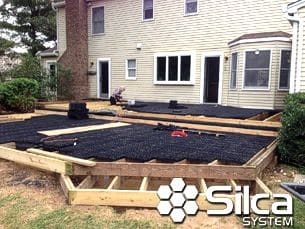 Silca System Grates are a revolutionary deck floor underlayment that allow many different stone options to be installed on your deck instead of the traditional wood or composite decking. Silca Grates have been designed for the DIYer with ease of use as our top priority.